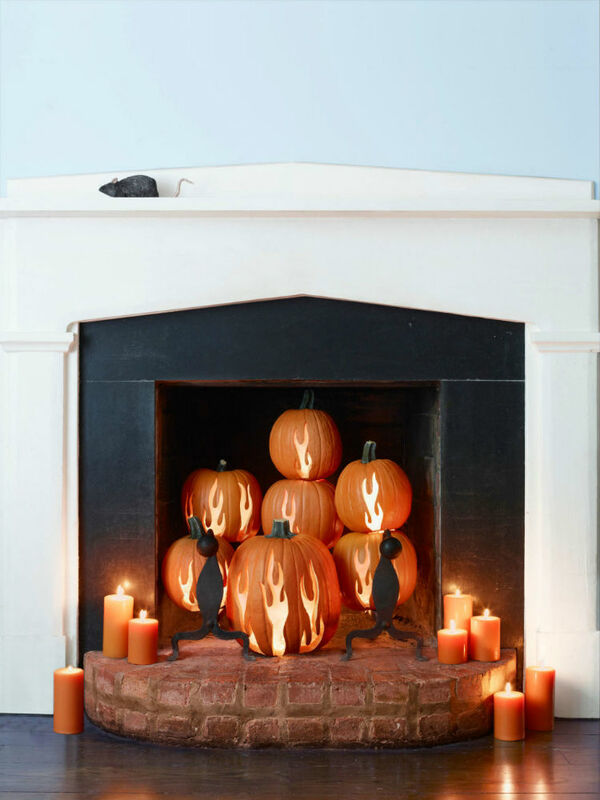 Create a festive fall-inspired atmosphere in your house with these bizarre pumpkin tips. They do not require any special tools or skills and can help you decorate your space for a spooktacular Halloween bash or a family-friendly Thanksgiving Day dinner within a few hours. Whether you have time to create your own DIY rustic candle holder or you have money to buy a new one, just grab some cute pumpkins and pick some colorful leaves in the nearest park, and turn your dining room into a fall wonderland. Instead of buying and carrying those huge pumpkins, opt for tiny ones. They are easy to carry and make a wonderful living room decoration. 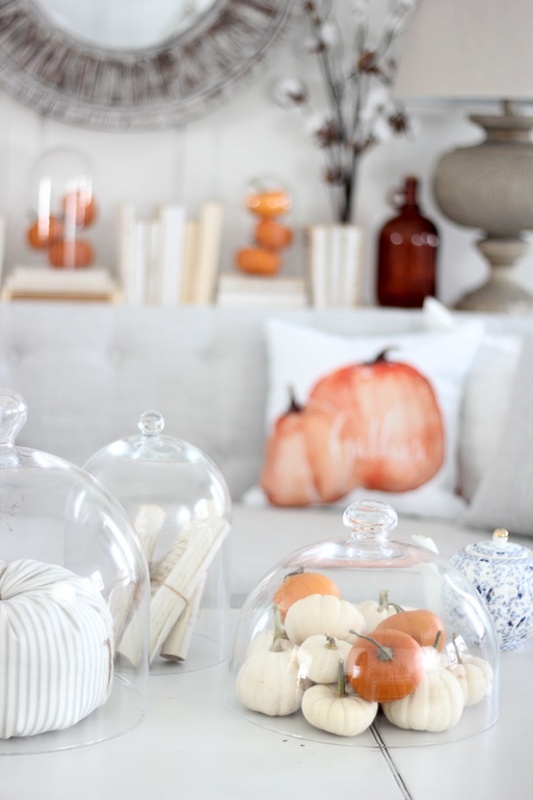 Fill your glass domes or vases with colorful little pumpkins and enjoy your ‘hard’ work. Honestly, I love and use this fall decorating idea. 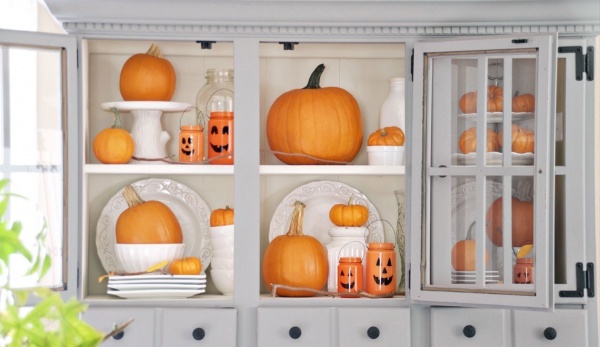 If you are lucky to have a vintage (or whatever) hutch in your house, why not decorate it with pumpkins – be they small or big ones. Hosting a Halloween party? Add some artificial spiders and nets and voila! 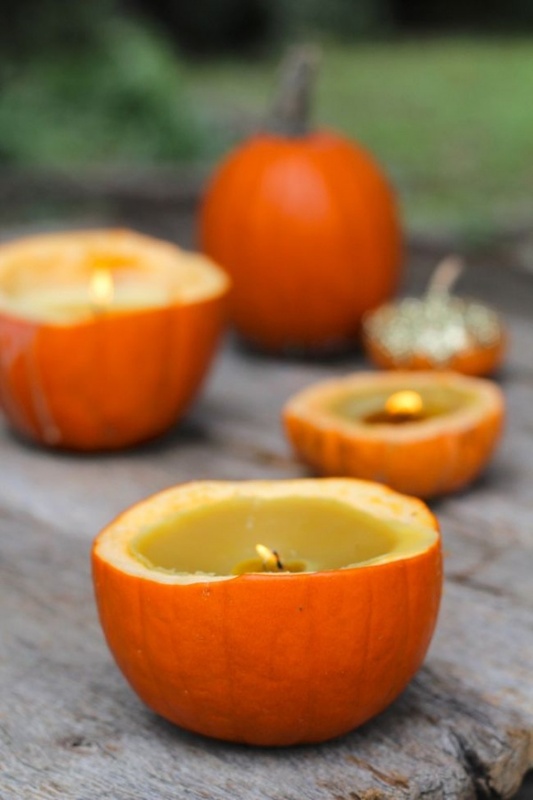 Set a festive mood and make your home smell like fall with these DIY cinnamon pumpkin candles. 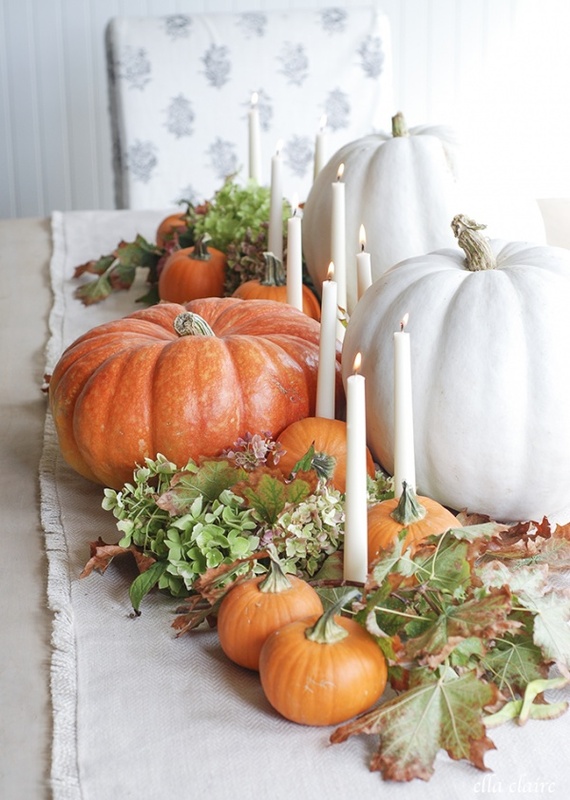 While small pumpkins are best suitable for these candles, why not experiment with the bigger ones? All you need is the drill and tons of effort – literally. 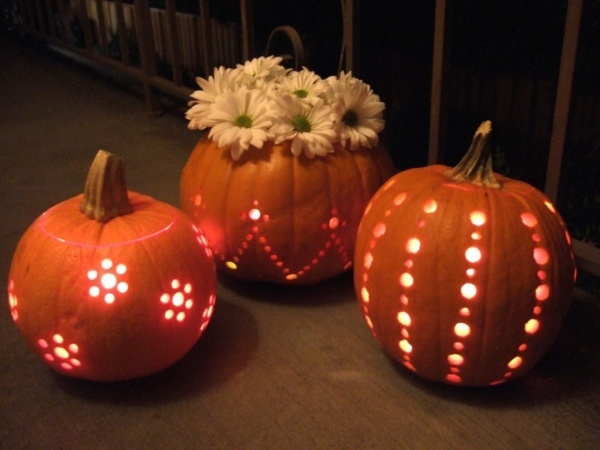 Or better, ask your significant other to drill those pumpkins to create festive pumpkin disco balls. Looking for a centerpiece that will look elegant yet fall-ish? Decorate your coffee table with white pumpkins to welcome guests to your living room. 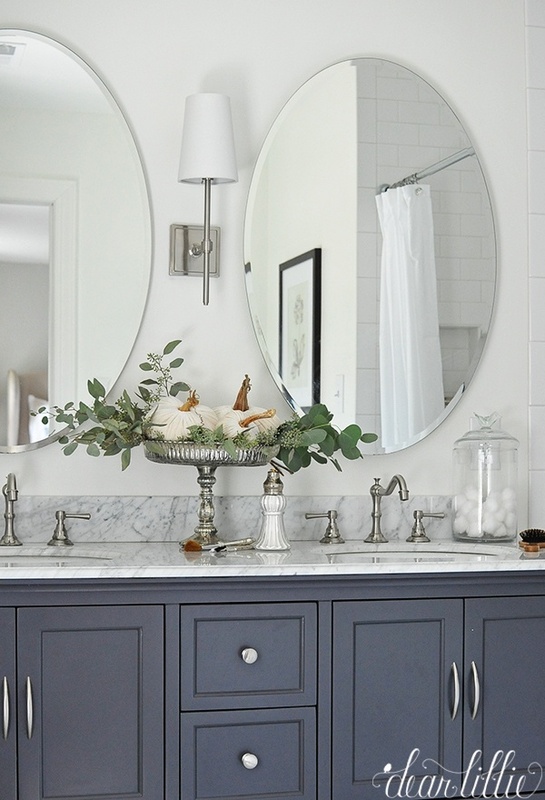 There is no need to stuff your bathroom with leaves, long branches or large pumpkins. Just add a little vase full of tiny white or orange pumpkins and enjoy it every time you wash your hands. Decorate your bookshelf with some pumpkins and use a black paint to create a ‘tree.’ This fall decorating idea seems complicated while in fact, you will do it in a matter of an hour or less. Unlike a pumpkin bookshelf tree, this project may take a few hours, if not the whole day, especially if you are new at pumpkin carving. Anyway, it is well worth it. 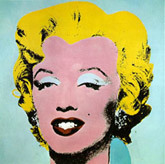 Just look at this beauty. 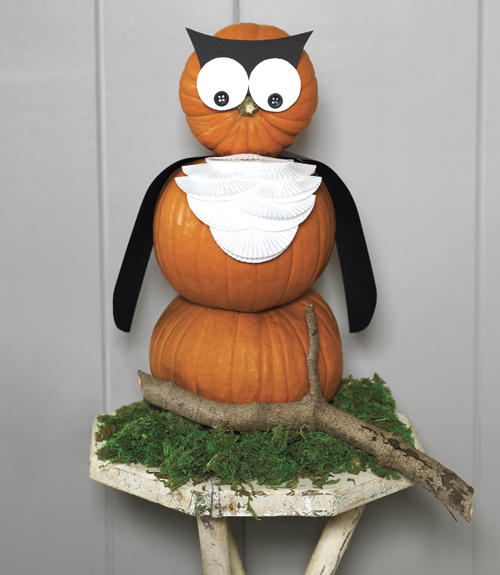 If you have no kids, you can place this pumpkin owl in whatever room you would like it to stand. Isn’t it a bizarre way to decorate your house with pumpkins, huh? 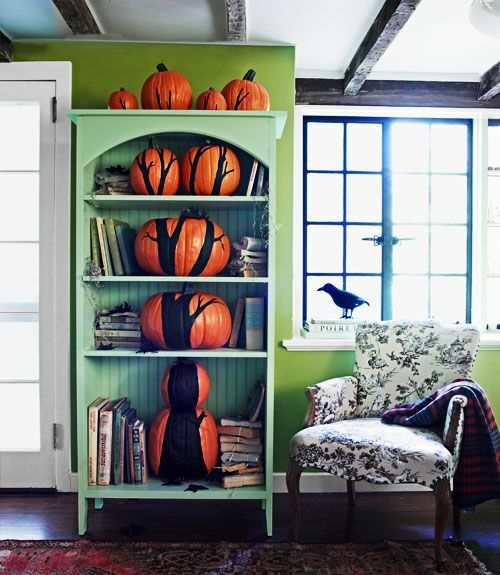 There are many creative ways to add more pumpkins to your home decor, and these are just a few to consider. They are perfect for a Halloween bash and Thanksgiving dinner, or any other even you are having this fall. 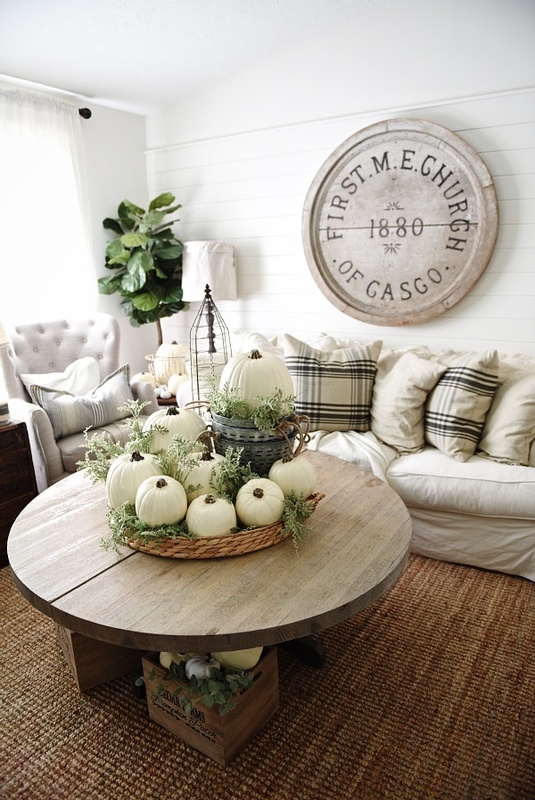 Let us know about how you decorate your home for fall. We can make this list endless together!